Soft computing methods are increasingly being used as substitutes for traditional statistical analysis tools to predict uniaxial compressive strength (UCS) and elastic modulus (E). 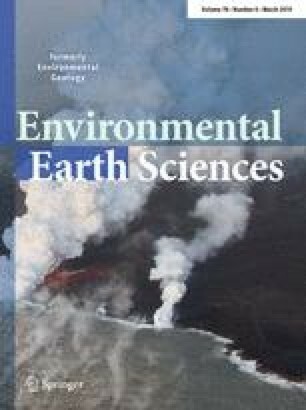 In this paper, multiple regression (MR) analysis and fuzzy inference system (FIS) were used to estimate UCS and E of migmatites in the Sanandaj–Sirjan zone in Iran. A series of rock index properties including porosity (n), cylinderical punch index (CPI), block punch index (BPI), Brazilian tensile strength (BTS), point load index (IS(50)), and P-wave velocity (VP) were measured and employed to develop six prediction models. Amongst the rock indices, IS(50) and Vp had the best correlations with UCS and E, respectively. Performance evaluation indicated that FIS is a more reliable tool for predicting UCS and E of migmatites, due to its ability in managing uncertainties in the test results with clarity and precision. The results indicated that FIS model 2 which employs n, CPI, BTS, and VP as input variables and FIS model 3 which employs n, CPI, IS(50), and VP, performed better than other models in predicting UCS, while, FIS model 2 also produced the best results for predicting E. The results of performance evaluation demonstrate that the developed models are highly efficient for prediction and the input parameters have notable influence on UCS and E.
The online version of this article ( https://doi.org/10.1007/s12665-019-8219-y) contains supplementary material, which is available to authorized users.